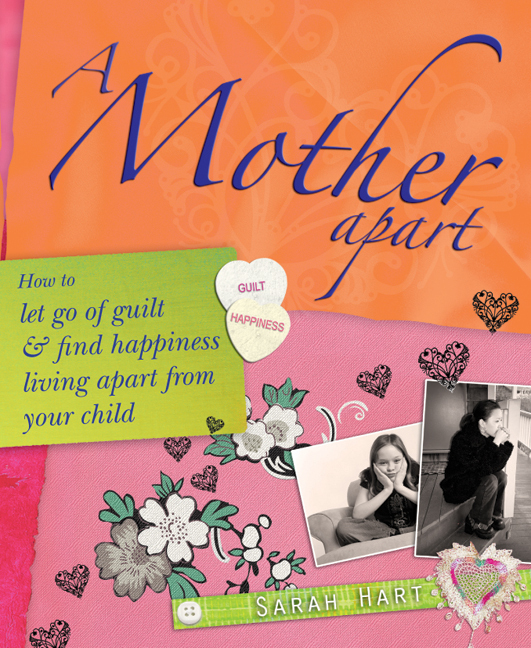 At midnight last night I took part in an Australian national radio phone, ABC National Radio, Life Matters (A Mother Apart) on the topic of my book, A Mother Apart and the challenges facing mothers living apart from their children. I was rather apprehensive as I was really tired and doing a one hour talk back at midnight with a woolly head isn’t my idea of being on the ball! Despite not being as coherent as I would have liked (don’t you just love the part of us that likes to point out what we didn’t do so well :o) – I was pleasantly surprised by the presenter, Richard Aedy’s sensitive approach and some really insightful and accepting attitudes from callers talking about their experience. I spoke about the stigma and stereotype of ‘abandoning’ and ‘unfit mother’ as well as the feelings of guilt and shame that so many mothers apart feel. We had a couple of dads who were accepting of their ex’s decision to choose to be a non custodial parent. We also had a few very brave mothers apart who told their stories, including one mum who felt it was in her son’s best interests to live with his father in another country, as this is what he wanted half way through his childhood. I was really impressed with her open door, open heart attitude. I was such a good environment to talk about the importance of co-parenting without competing, putting our differences to one side and working at communicating well, for the sake of our children. Part of my weariness is because I’ve been working my socks off to get my work life in order and my home sorted before my daughter arrives from South Africa tomorrow. I can’t wait to see her, my little 3 year old granddaughter and my son-in-law. They will be staying with us for three weeks. I know that I am truly blessed to have the relationship I have with my daughter, despite her having grown up with her father, thousands of miles away. What’s worked for me has been to stay in touch, to let her know I love her and miss her throughout the years. We’ve had some difficult moments to be sure! But amazingly, it’s been those times that have made me stronger. As hard as they were, I was, over time, able to convert my pain and despair into an energy boost for the mother inside me, renewing my determination to hold on, keep loving no matter what. So it’s goodbye for a little while. I’ll be back after my family holiday. If you are a mother apart, please remember to take outrageously good care of yourself. You’re no good to anyone else unless you do. Yes, and I’ll remember to take a dose of my own medicine too! Nearly a year since their daughter disappeared, I heard Gerry and Kate McCann giving an interview on BBC Radio 4’s Today programme. Their dignified attitude and calm response to questions by the media has always struck me as amazing. They are clear about defining their campaign to find Madeleine as an awareness campaign, not a media campaign, saying that they are “real people, with real feelings, not characters in a book or soap opera”. Believing that Madeleine was abducted as she slept, I can only wonder at how the McCann’s deal with what must be inevitable “If onlys..” Even though a man was seen carrying a little girl wearing pyjamas like Madeleine’s, Kate was asked, “Couldn’t Madeleine have walked out of the apartment?” I sensed its impact and wondered about the aim of that question? Is it really suggesting just another possible answer to Madeline’s disappearance? I would imagine the internal response of most mothers who, God forbid, would ever find themselves in this situation, would be the initial thud and squeeze of implied judgement, followed later by feelings of guilt and self-blame. Mothers who are separated or live apart from their children know this well. Unless these feelings are reality checked and nipped in the bud, they debilitate us. They are also destructive to everyone else in our lives. Who is served by our needless guilt and self-blame? Are you holding on to any unnecessary negative feelings today? What can you do to release yourself?